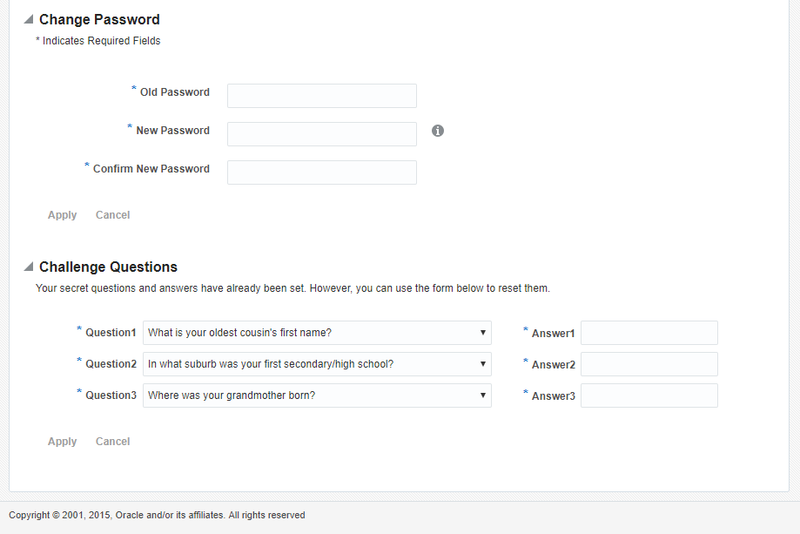 Log in using your University Username and Password, then click the Log In button. 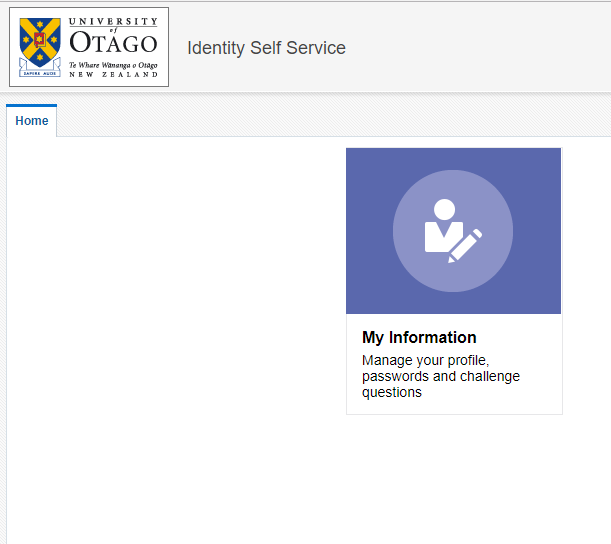 Your username is printed on the front of your University of Otago ID card but if you don't have an ID card, contact ITS to find out your username. Click on the My Information panel in the middle of the screen and scroll down to the Challenge Questions section. Your challenge questions will be displayed but your answers are hidden for security reasons. Select new challenge questions by clicking on the drop-down menu to see a list of options you can use for each of three questions. Make sure to choose questions and answers that you will remember! Enter each answer in the corresponding Answer box. The answers are not case-sensitive. Click out of the final answer box, then click the Apply button to save your questions and answers. Sign out of the Identity Self Service console using the Sign Out link under your username at the top right of the page.